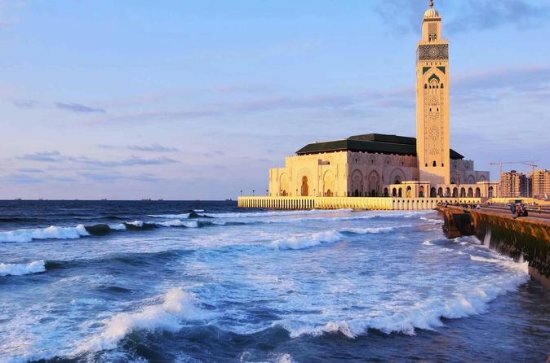 Your Morocco private tour that lasts 9 days starts in Casablanca. 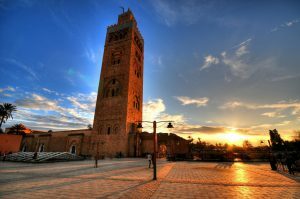 We pick you up from your hotel to start today’s journey of exploring the main monuments and sights in the city followed by a transfer to Rabat, the capital city of Morocco . 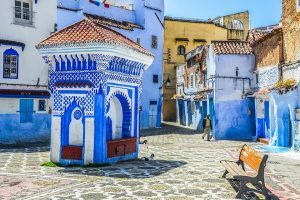 You continue your way to Chefchaouen in Rif mountains where you can spend the night in a local riad. 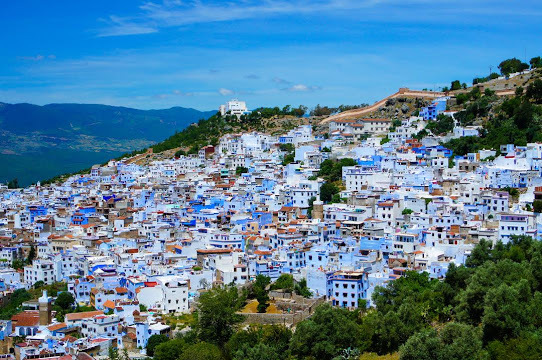 Today, you go sightseeing the Medina of Chefchaouen, moving around and passing through the blue streets and walls. Next, we drive towards Fes with an optional stop at Volubilis. Once you arrive in Fez, you will spend the night there in a Riad or a hotel in order to discover the city during the following day. 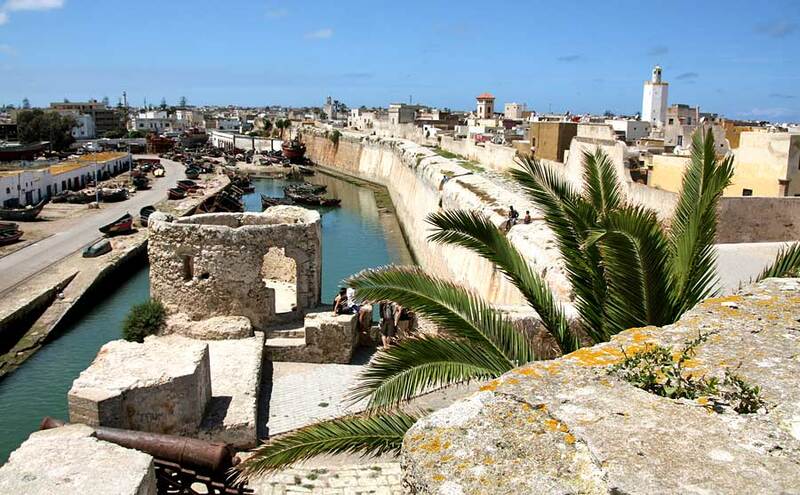 After breakfast, you undertake a guided excursion of Fez medina (old city) –which is listed as UNESCO World heritage. 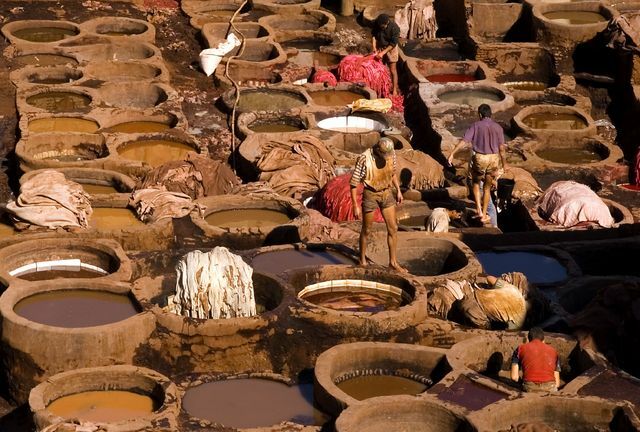 You explore and visit the main attractions including the Bouanania Medersa , the Karaouine Mosque and the tannery. You spend the night at a local hotel or riad. 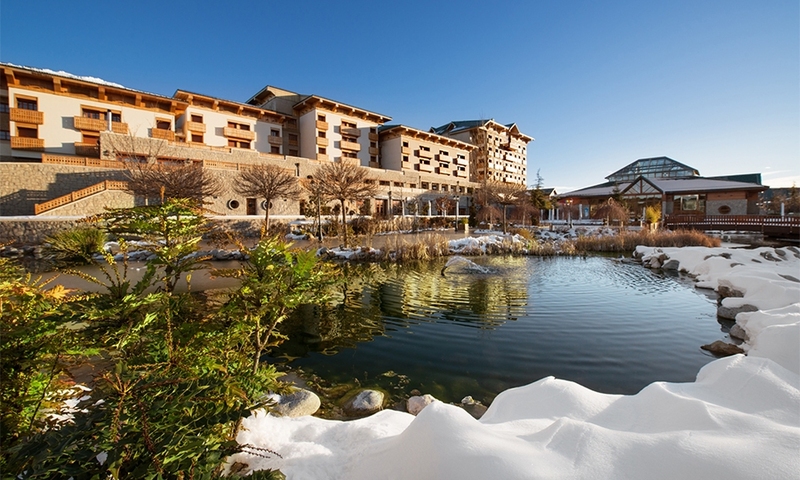 leaving Fez, Your “Casablanca 9 days tour” continues by heading to Middle Atlas mountains with paying a visit to Ifrane the “snowy town”. You continue your way passing by Azrou and stopping at the cedar forest to see the local apes that you may handfeed. Then, you go on discovering the beatifil scenery of Midelt ,Errachidia and Erfoud towns. On your way to the desert, you can explore local fossils museum ,palm trees oases and dates associations, before arriving in to Merzouga desert in the afternoon. Overnight in desert hotel with dinner served. 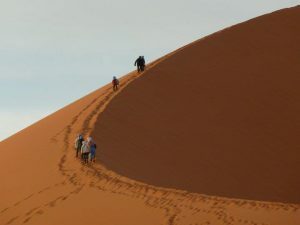 Your Morocco guided trip continues exploring Sahara desert by 4×4 vehicle. Therefore, you visit Khamlia village where to observe and listen to Gnawa music. You spend nice time with Nomad family living in the desert and you explore sand dunes, with optional quad or buggy ride. 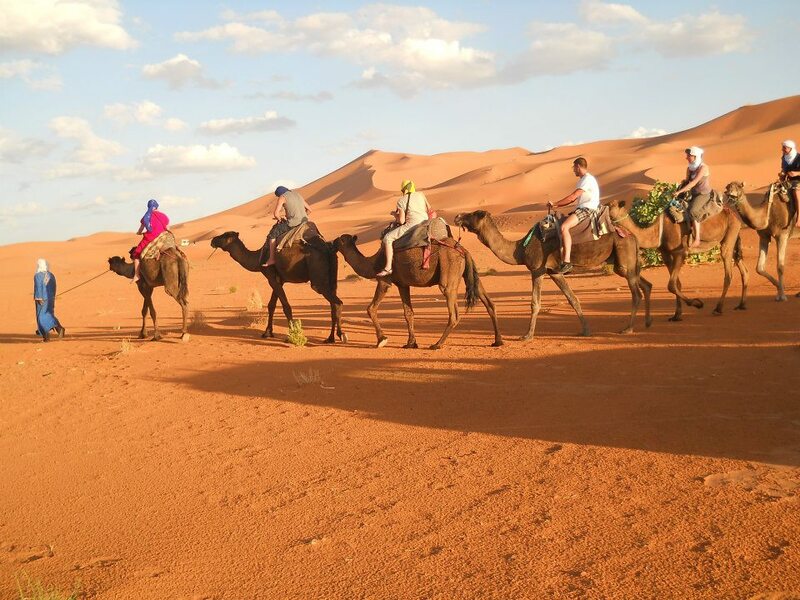 You will also have the chance to do a camel ride for about 1 hour inside the dunes until you reach our desert camp. On your way, will explore the charming desert dunes in addition to a traditional dinner served at campfire. There will be also an opportunity to watch young children playing and singing Berber music around the fire. You spend the night in desert safe tents. When you wake up in the morning, you watch the amazing sunrise in Sahara desert of Erg Chebbi. Then you enjoy camel-trek back to the hotel in village of Merzouga, you have breakfast before starting another trip driving towards Todra gorges passing Rissani, Jorf and Tinghir towns. After lunch, you’ll continue through the Dades Valley where you stay overnight at a local hotel / riad with dinner served. 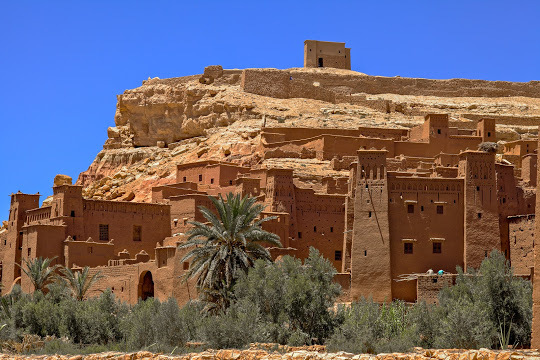 You will explore Dades Valley ,then continue to Kalaa M’gouna and we visit Skoura before arriving at Ouarzazate. 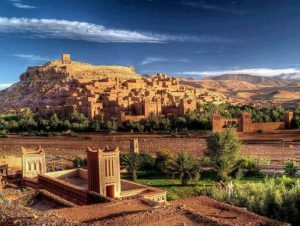 In this city, you can pay a visit to movie studios before heading to Ait Benhaddou Kasbah.Undoubtedly, you will enjoy the guided excursion of the largest Kasbah in Morocco, recognized by UNESCO as a world heritage. Then, you drive across High Atlas mountains to Marrakech. Overnight at a local hotel or riad. Marrackech deserves more than one day to explore. So, you go on a full day guided excursion. 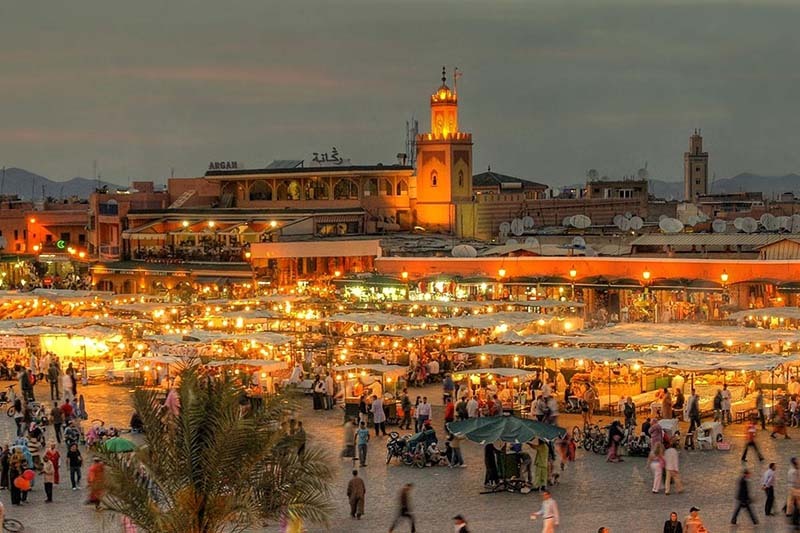 You visit the square of Jemaa el Fna as UNESCO heritage. Our guided historical excursions include also: Bahia Palace, and Badii Palace, famous Saadian Tombs,and the Koutoubia mosque in addition to Majorelle Garden and lcoal souks. Overnight stay at a local hotel / riad. 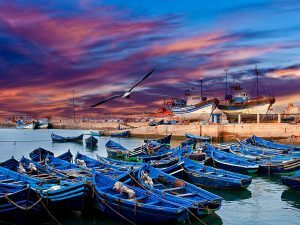 This will be the last day of the tour, you will explore Essaouira on the Atlantic coast. 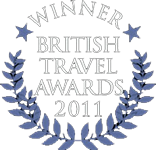 Guided and private tour with hotel transfer. Later afternoon, You drive back to Marrakech.That’s the End of the tour. We hope you enjoy it.